As fans, there’s often a certain je ne sais quoi that draws us to a particular work in the first place, and it’s critical in maintaining the kind of love over the years that defines being a fan. Star Trek is the easiest thing for me to talk about, since I’d call that my primary fandom, and it’s certainly the one I’ve been affiliated with the longest, but this applies to anything, including Ghostbusters. It also makes for a great example because on the stage of pop culture, Star Trek is positively ancient, as it celebrates its 50th anniversary this year. The only major pop culture forces that go back much farther are superheroes, many of whom recently went through their 75th anniversaries. Star Trek is 50 years old, then, and what that really means is that it was originally created by a different generation in another era entirely. Everyone knows that Trek was extremely progressive for its time, featuring a black woman and an Asian man on the bridge crew who are treated no differently than anyone else. Remember, this is a show that started a few years prior to the Civil Rights Act. It’s famous for having the first (scripted) interracial kiss on television, and for standing up to attempts at network censorship. And even in its sillier stories, at its most heavy-handed, Star Trek was often on the right side of the issues, trying to illustrate the utter pointlessness of racism. “How ridiculous that aliens should want to kill each other for being black and white, instead of white and black,” you might say… until you realize that’s not very different from humans killing each other for being black or white. Over the top? Of course, but as TVTropes would put it, Some Anvils Need To Be Dropped. Trek also went out of its way to include a Russian character, Chekov (RIP to Anton Yelchin… gone far too young), to show that this wasn’t just an American future–it was a future for all humans, of any nationality. That’s something that gets overlooked today, because we just don’t have that kind of fear and hatred of the Russians present and no one gives Chekov’s presence a second thought. So how does that relate to today? If we’re going to be remaking media from so long ago, one has to accept the fact that it is a product of its era. It included as diverse a cast as it could at the time, and in roles that it could get away with. Is the main cast mostly male? Yes. Are there any LGBT characters present? No. Should there be for a modern audience? Now this is a character who should be repurposed… although that’d be easier if she had a name. …Well, that’s where things start to get complicated, isn’t it? The original was put together in the way it was for a reason, but many of those reasons are no longer present. On the other hand, some of these restrictions are what helped to make the show into the thing that fans loved. 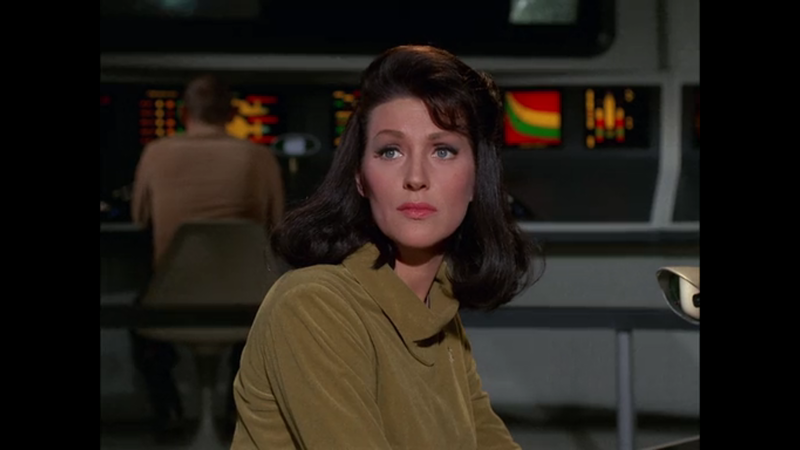 If you know your Trek history, then you’re aware that in the first pilot, Captain Pike’s first officer, referred to only as “Number One,” is a woman who was played by Majel Barrett. Number One was vetoed by the studio and subsequently removed for the second pilot… which opened the door for Spock, who became the breakout character and was a huge factor in the show’s popularity. Would Star Trek have been as popular as it was had Number One stuck around instead? Impossible to say, of course; some of those traits so popular in Spock were originally hers, after all, but it doesn’t seem likely. 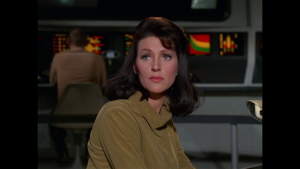 Some of the things that make her character interesting in the pilot would’ve been eroded as the characters developed; with the ladies’ man reputation Kirk found, would they really have resisted the opportunity to tease romance with his first officer? Star Trek fans like to talk about Gene Roddenberry’s vision; the “Great Bird of the Galaxy” is almost revered as a holy figure sometimes, although most of us can admit he was a flawed man in reality. Still, at the heart of Star Trek is, and always should be, this society where all men and women are truly equal, where the differences between people are respected rather than dragged out as excuses for hate, where we are united by a shared desire to learn and grow as people. And yes, to learn that even Klingons and Romulans want the same things we do, in the end. What seems at first glance like Science Fiction beat-’em-ups is actually a moral code that many fans, including myself, try to live by each day. It was very personal to Gene, and very personal to the fans. Let’s take the detour back to Ghostbusters territory for a moment. Of the principal cast in that movie, all 4 members of the eponymous ghost-fighting team are male, and the only woman in their organization is the secretary. Given it’s a movie that stars the writer and his friends, it’s not unexpected for the ratio to be a little off. Ghostbusters is actually a very personal project for Aykroyd, who has pretty strong beliefs in the paranormal. As happens with many such films, it made a lot of money and thus received pressure to create a sequel, eventually launching a franchise that contained an animated series, video games, and an attempted third film that culminated in this new reboot. So ultimately, what we have is a personal project that became an entertainment corporation’s franchise, and is mostly dragged back out for its familiar name to make the parent company money. While I talk about franchises in a positive light a lot, it’s important not to forget that they have their downsides. Foremost among them is the fact that they’re maintained by massive companies, be it Disney or Paramount or Sony. At the end of the day, the goal of a movie is to make the studio a huge profit, and reusing old properties like Ghostbusters is an easy way to guarantee that. Low risk, high reward–it’s no wonder we see so many reboots. But ironically enough, the people least likely to be excited about a reboot are the biggest fans of the original. As I said, many fans identify with the original incarnation for a reason, and are quite wary about making major changes to it. Changes that, even in the most faithful reboots, are inevitable. What we’re worried is that this personal touch, be it that of Gene or Aykroyd or someone else on some other project, is going to be lost in the cash-grab motivations of the reboot. That whoever it is that takes over the franchise will be someone who wasn’t a fan of the original, someone who doesn’t “get” what made it special. It happens all the time; hell, sometimes the person who doesn’t “get” it IS the original creator (Looking at you, Emmerich). Changes aren’t inherently bad, and sometimes they can use aspects of the original in new and interesting ways. Star Trek 2009 dug up the character of Pike and making him into a mentor for Kirk was a great use of him (seriously, Pike was the best thing about the last two movies). But Pike’s increased role is in response to changes necessitated by the story–with the characters much younger than they were in the original, it was implausible for them to be as experienced and high-ranking as they were before, so adding a more mature character who could at least initially be responsible for the situation was needed. A justified change is an earned change. An inexplicable one is not. The problems arise when the changes that are being made aren’t dictated by the needs of the story; arbitrary changes with no clear cause. And when the reason for this change isn’t clear, fans start to look at why that might be–and regardless of why, they’re unlikely to be happy about it. Minor spoilers for Star Trek Beyond: a perfect example of this is the reveal that Sulu is gay in the new movies. 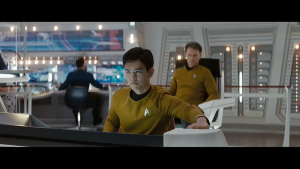 Does Sulu’s sexual orientation affect the plot of the movie? It’s not out yet, but that’s VERY unlikely. It also diverges majorly from the previous characterization for the character, as Sulu shows attraction to Uhura in the original series and has a biological daughter seen in Star Trek Generations. So why, after two movies, decide that Alternate Sulu is gay? No narrative reason, no previous evidence to support that as an established character trait… it seems as if it was only done because of a desire to include a gay character, and Sulu was chosen due to the fact that George Takei, the first to portray Sulu, is gay in real life. It’s easy to see why someone who identified with the character of Sulu might be rubbed the wrong way by a change like this, even if it doesn’t strongly impact their enjoyment of the movie. There’s understandable motivation to include a gay character in Star Trek, in the vein of that same spirit of inclusiveness present from day one, but is radically altering one of the established characters the best way to do it? Even Takei himself was against this change, stating that if they want a gay character, they should create a new one. But at least in this case, there’s a well-intentioned reason underlying the change, even if the change itself is controversial. 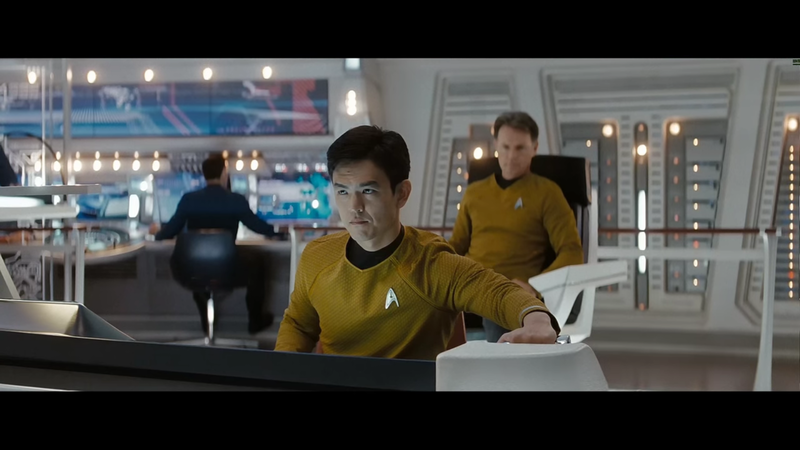 Sulu is still Sulu in every other regard–his piloting skills, his personality, and so on. 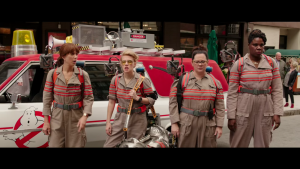 The same can’t be said for this Ghostbusters reboot, which replaces all the original characters with gender-flipped counterparts that possess only the vaguest resemblance to the roles held by the originals. The question of “Why this change?” can’t be very easily answered. The plot isn’t substantially different; jokes that, in the original, were based around stereotypes of bureaucrats have since been supplanted by stereotypes of males, but that’s an effect of the change, not a cause. The end result is not being well received, to say the least. The goal should always be maintaining the original’s charm without trying to mindlessly mimic the mere trappings of it. This is where such a “reboot” completely fails–it goes out of its way to try to put on as much of the same surface details at possible (name dropping Columbia, similar team composition, Slimer, vapid cameos, etc. 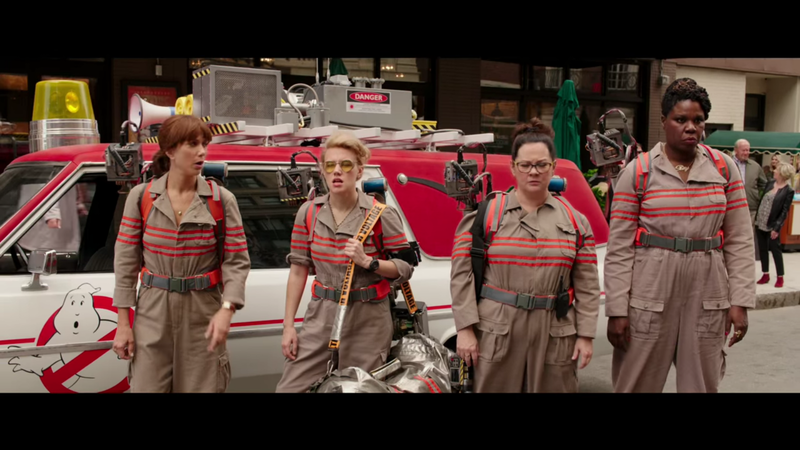 ), but seems to lack a comprehension of what made the first Ghostbusters so popular to start with. The shining example of a well-executed gender flip. These things can also be done well, so don’t take any of the above the wrong way. A great example is Battlestar Galactica‘s Starbuck, a male character in the original 1980’s series and a female in the 2000’s reboot. It did rub fans the wrong way when it was first announced, much like the above changes; even Starbuck‘s original actor was unhappy with it. 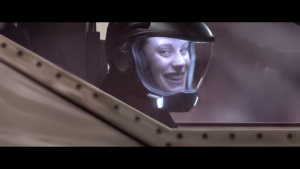 But the resulting indisputably high-quality production proved that Starbuck hadn’t lost any of his toughness or skill in the reimagining, and Kara Thrace quickly lived up to the name. 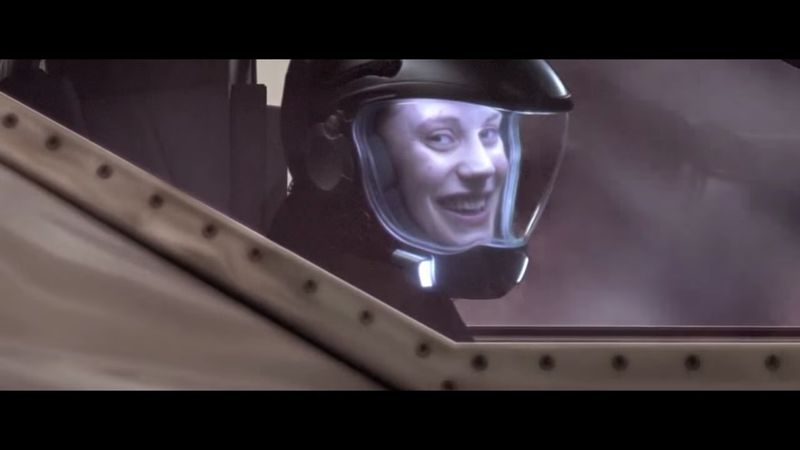 Starbuck’s new gender was definitely a part of the character, but not the defining feature of it, and it was more tolerable to fans due to the vast number of other changes going on–hence the use of the term “reimagined” rather than remake or reboot. New BSG is a very different series with very different dramatic needs than the original, so the change was completely justified. Can Ghostbusters really say the same, or was it done merely as a gimmick to lure in audience members that wouldn’t typically have watched the film at all?